One of our newest inflatable slides is the 18' Wave Slide. This a great slide for any party and easy to monitor with only one entry point. 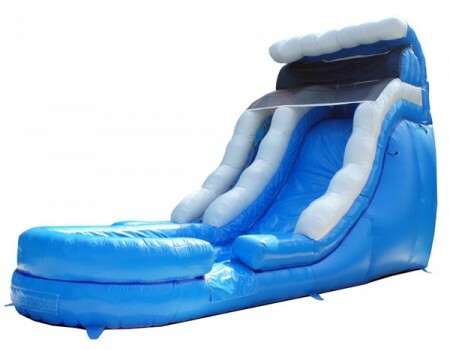 The Wave inflatable slide can also be used as a water slide. Please let us know when you rent the slide if you will want it wet or dry.